A time to remember all those who have given so much. Details on today's table at the end of this post. Candy, what a treat to look at your blog today! 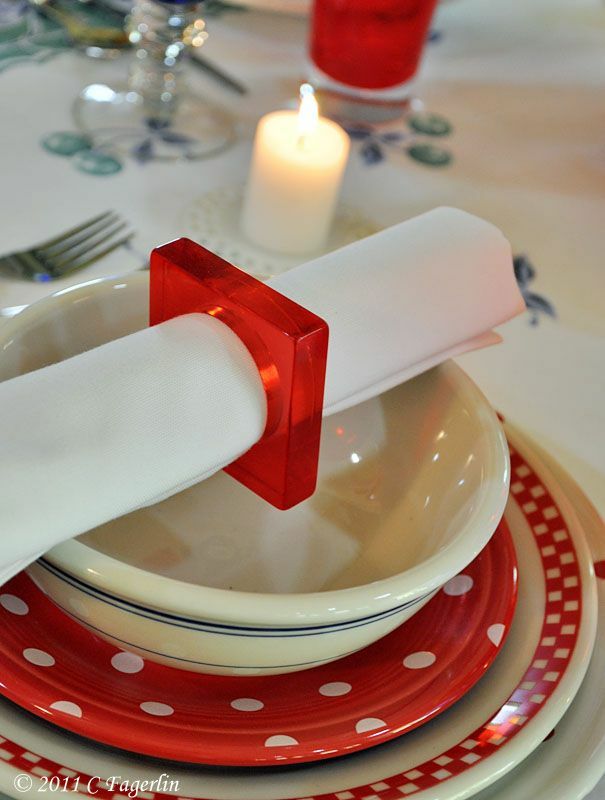 Well, it's always a treat, but this has to be one of my favourites of your tablesettings. I love that tc. So much that it is one I actually keep out at the farm and use regularly there. 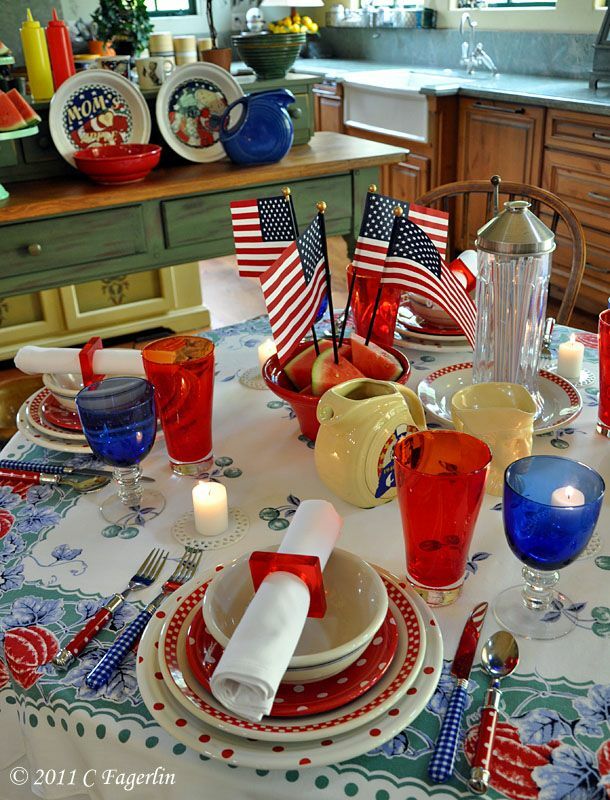 It really looks great for Memorial Day with the dishes you chose. The votives add a nice touch, too. Thanks so much for sharing. P.S. 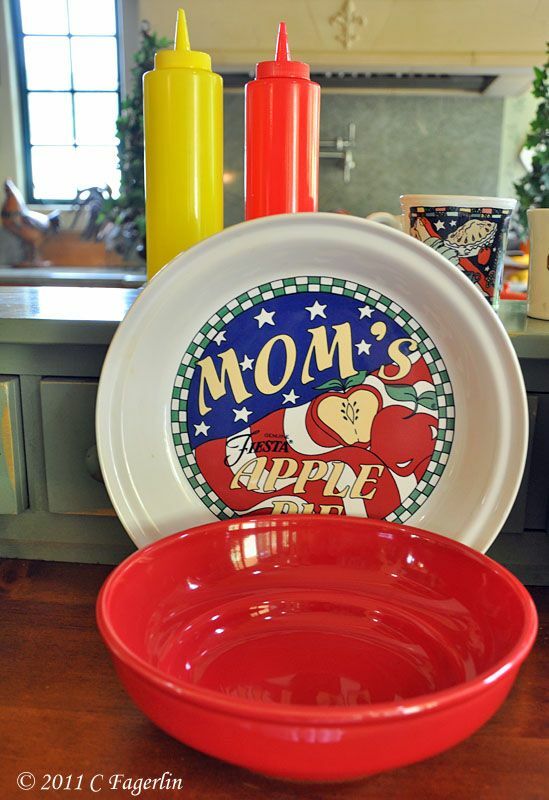 I baked an apple pie in my Mom Apple Pie plate this morning. Your table is a feast for the eye. Just love it....happy memorial day to you. Fun table! 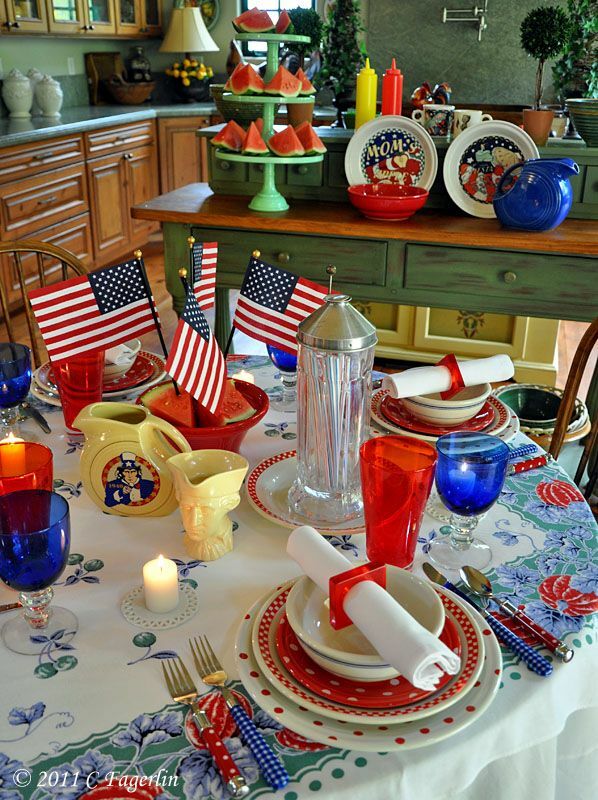 The perfect patriotic setting. Happy Memorial Day! 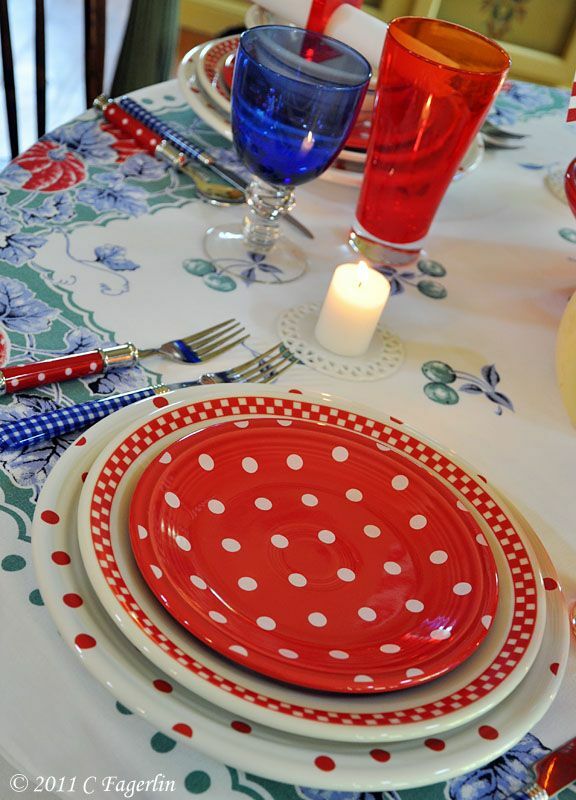 I love every tablecloth from the little Round Table...just beautiful, each one! 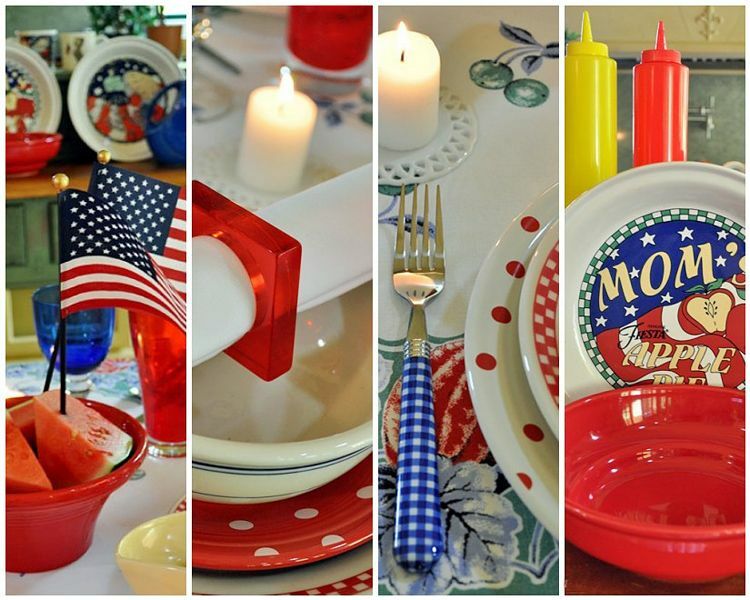 Very patriotic and the dot dishes are adorable, wish I could get some for Patriotic Tables and everything else...so much fun! I'm also at SS. 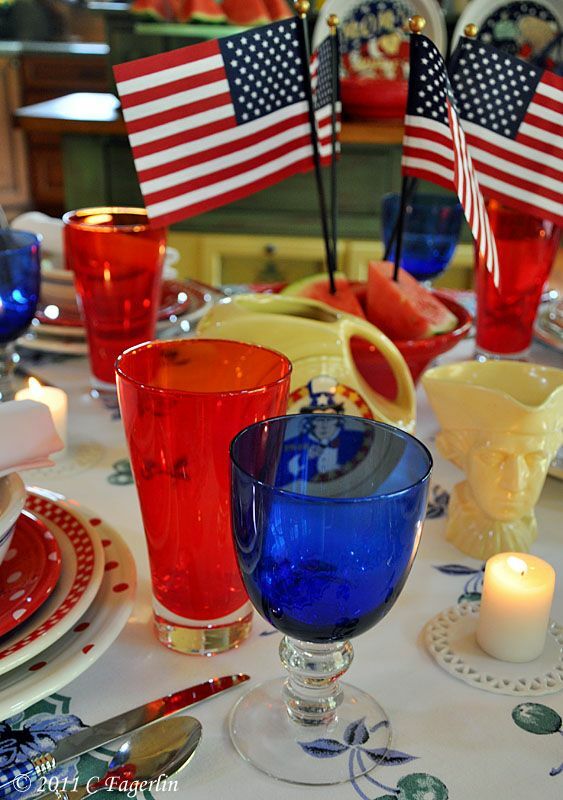 great patriotic table. Really beautiful. 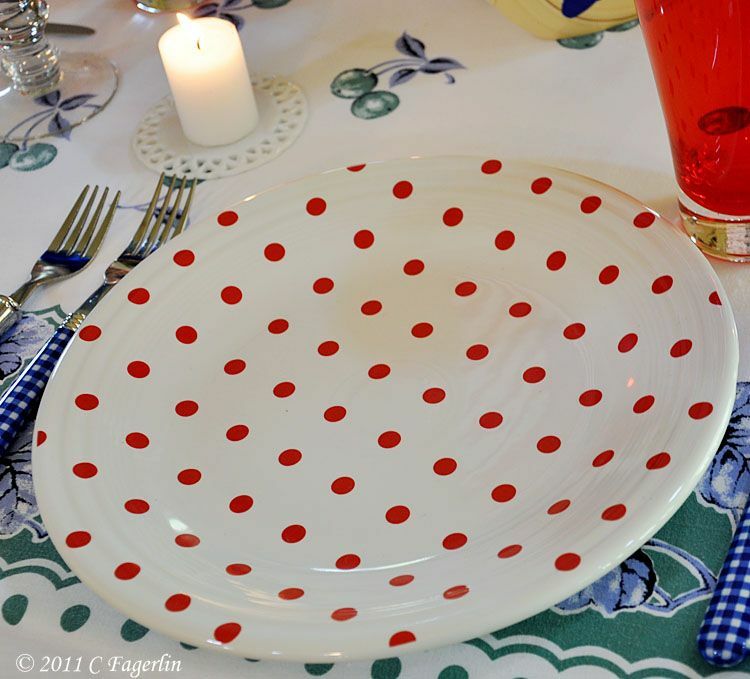 Candy, Your table scapes are always lovely and inspiring! 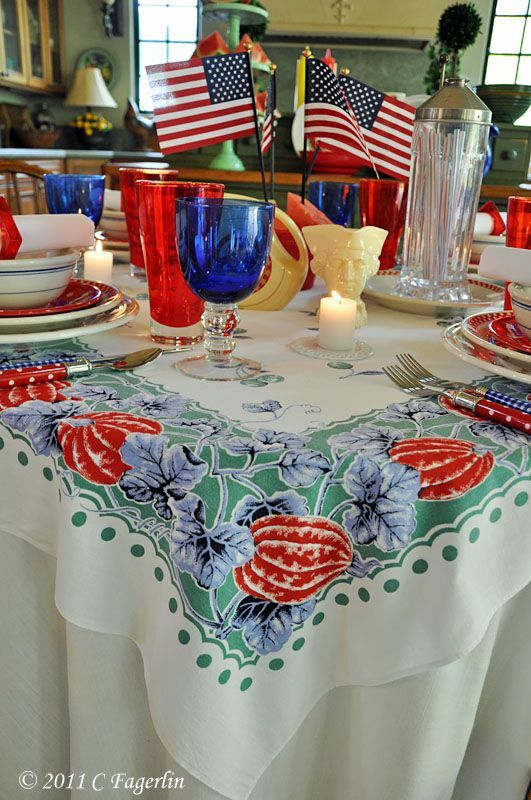 Such a fabulous table for such an important day. Hope you have a wonderful holiday weekend. What a fun table. Lots of patriotism going on there. Happy Memorial Day. Love that beautiful American blue. I remember. Beautiful patriotic colors. Have a beautiful day!!! 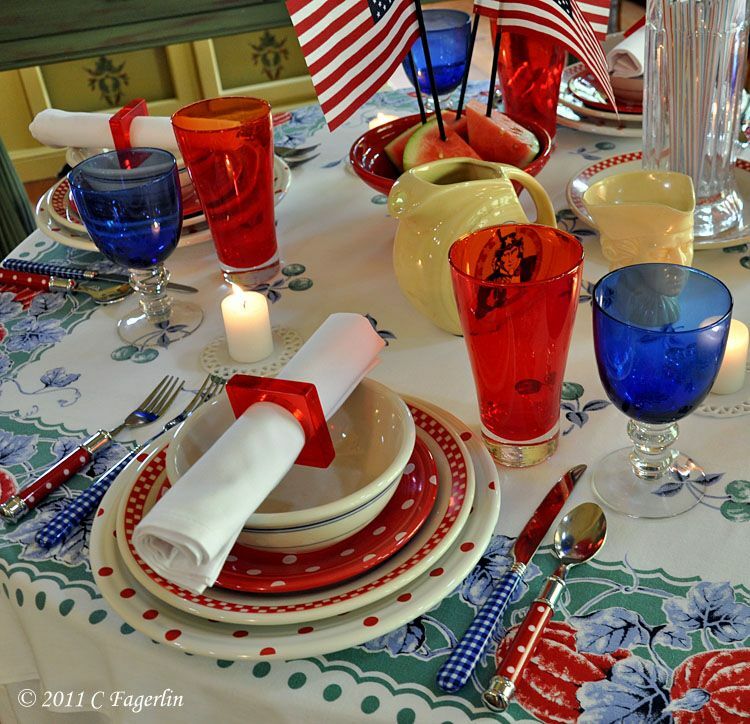 Beautiful table settings and so patriotic. Oh, Candy! 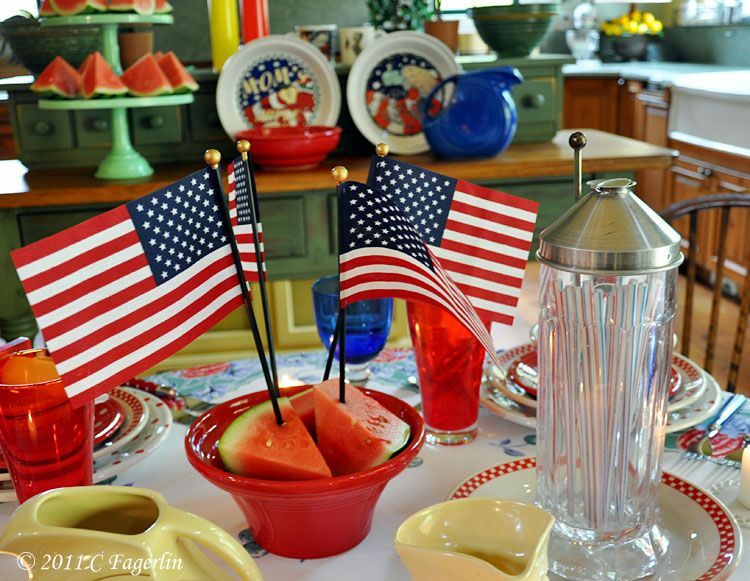 I love your Memorial Day table! 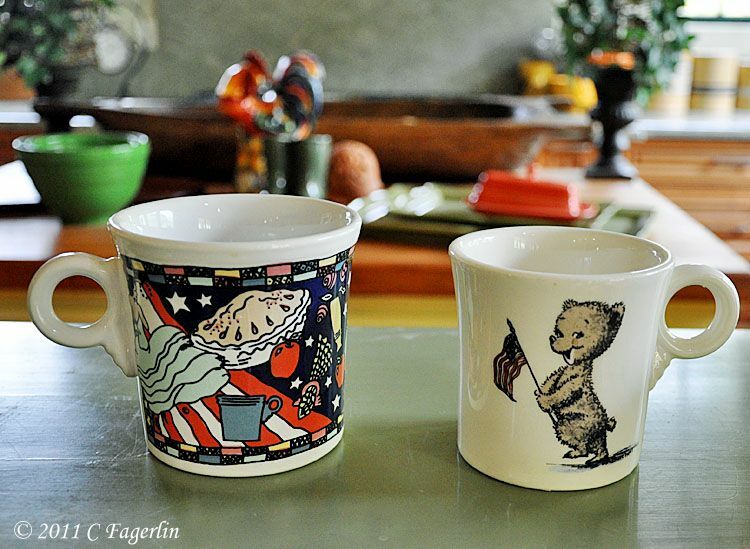 How sweet is the little pitcher with Uncle Sam on it. 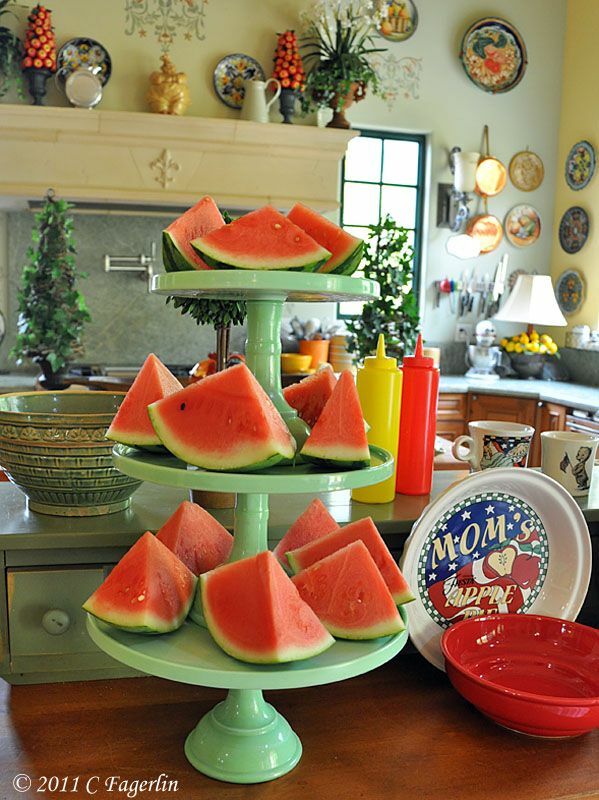 I just giggled with I saw your centerpiece with the little flags poked into the watermelon slice! I love that! 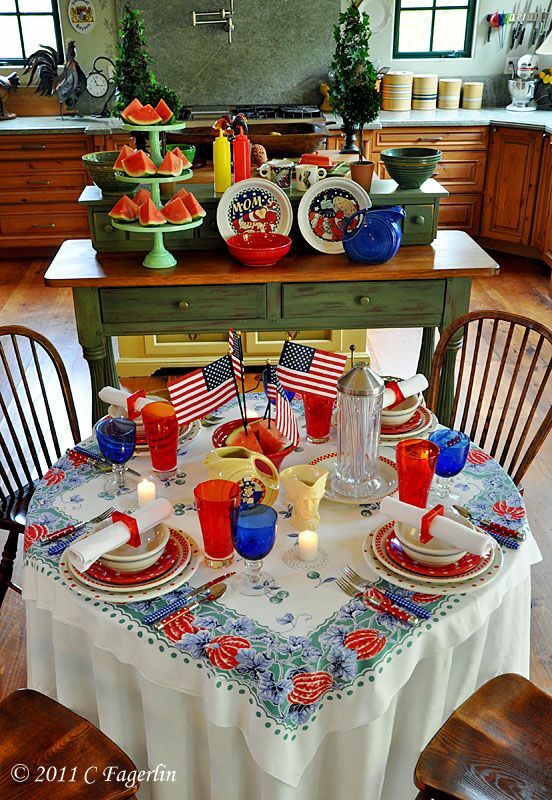 Perfect table for Memorial Day. 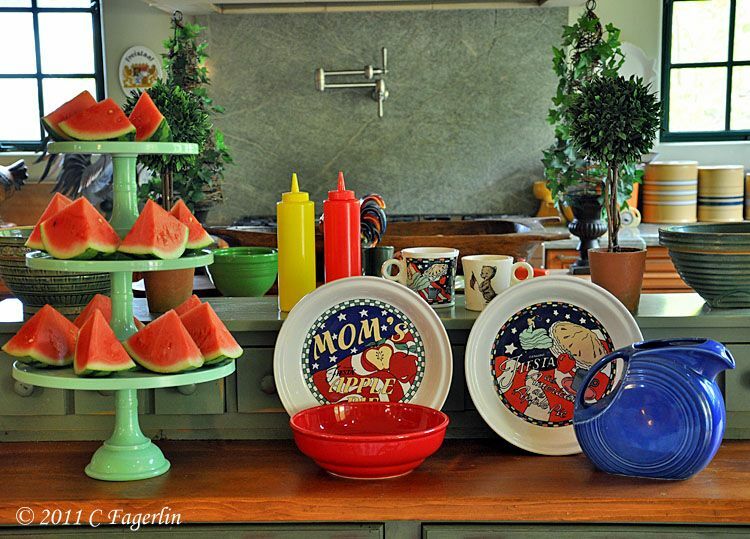 Love the mixture of dishes. 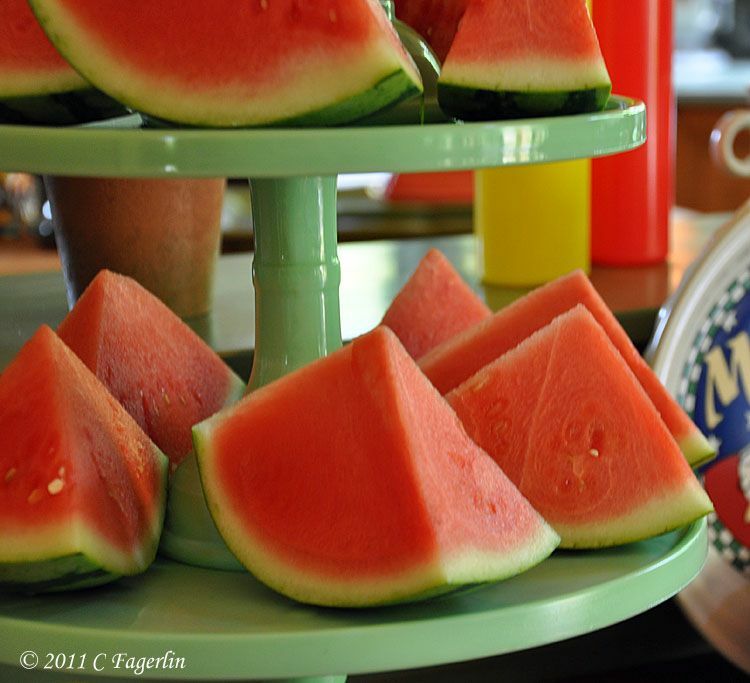 And that watermelon sure looks inviting. 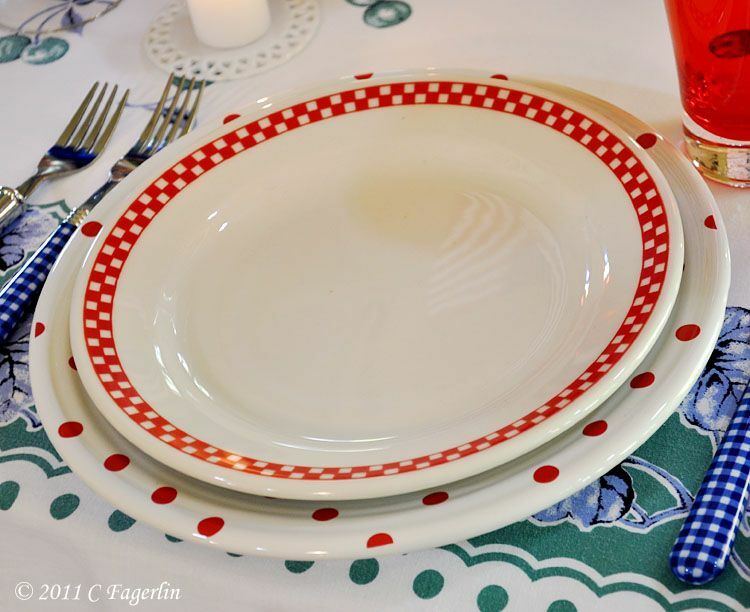 Wonderful tablescapes and just perfect for this holiday! Love the colors, textures, and creative arrangement! 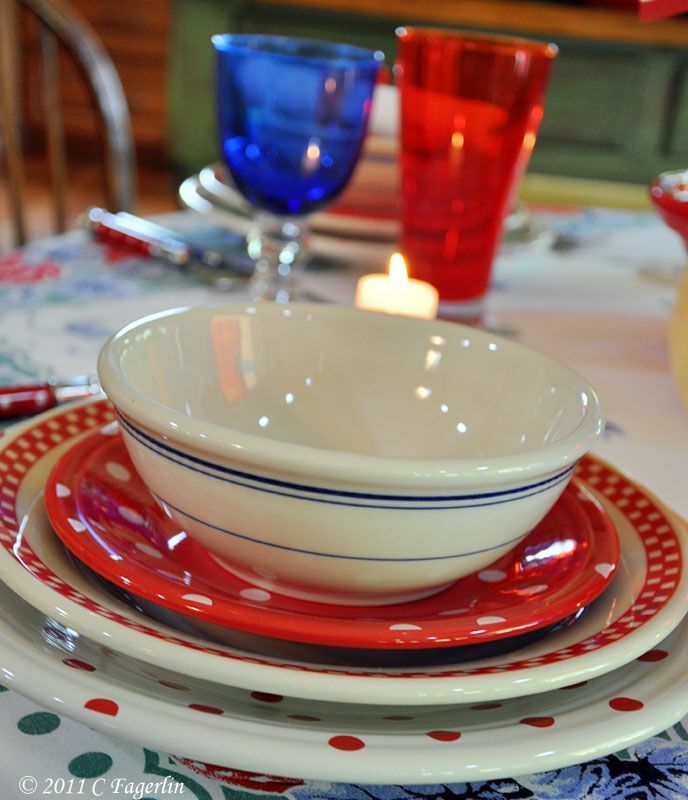 Love your table and all of your festive dishes! Happy Holiday. 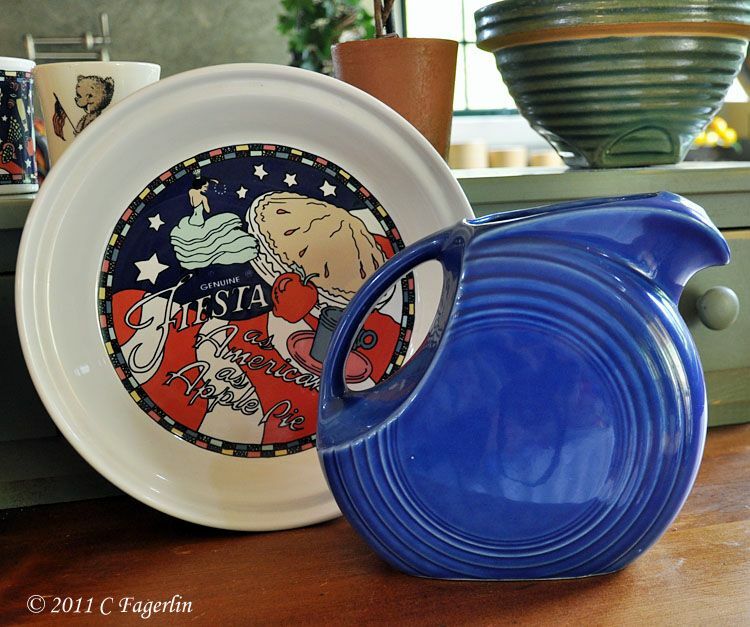 Thanks everyone for stopping by to check out my holiday table and for your lovely comments! Is summer really here already??? June here we come! This is one of your best settings yet. 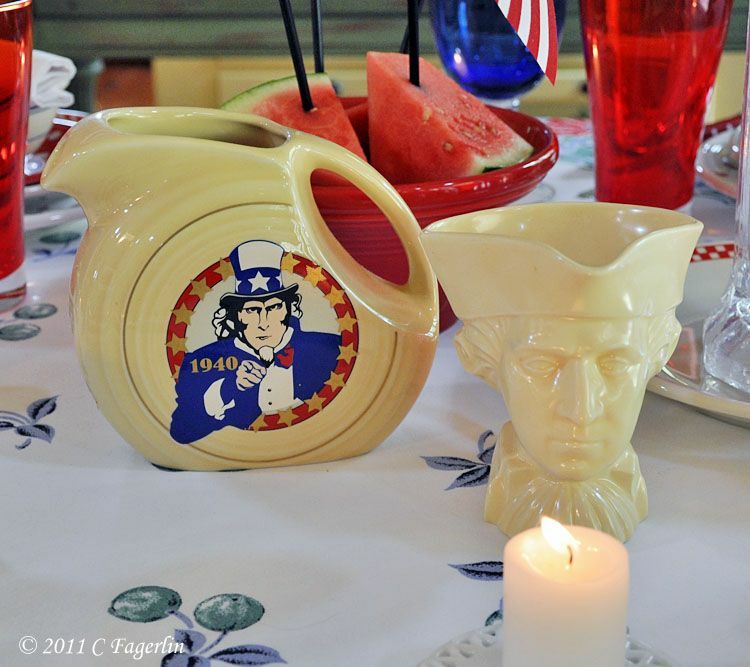 The tablecloth is fantastic, although truth be told, they all are, but what gets me the most is the Uncle sam pitcher and the toby jug. 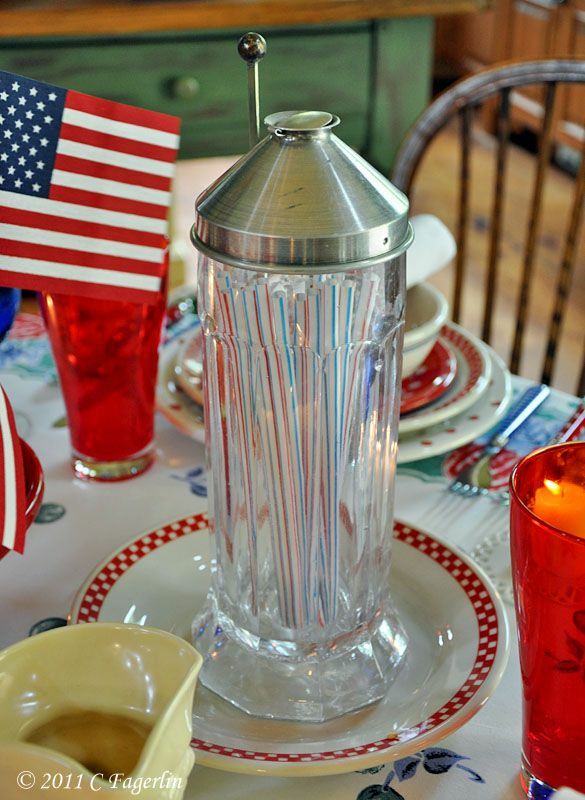 How perfect for any patriotic holiday. Wow! Great table. 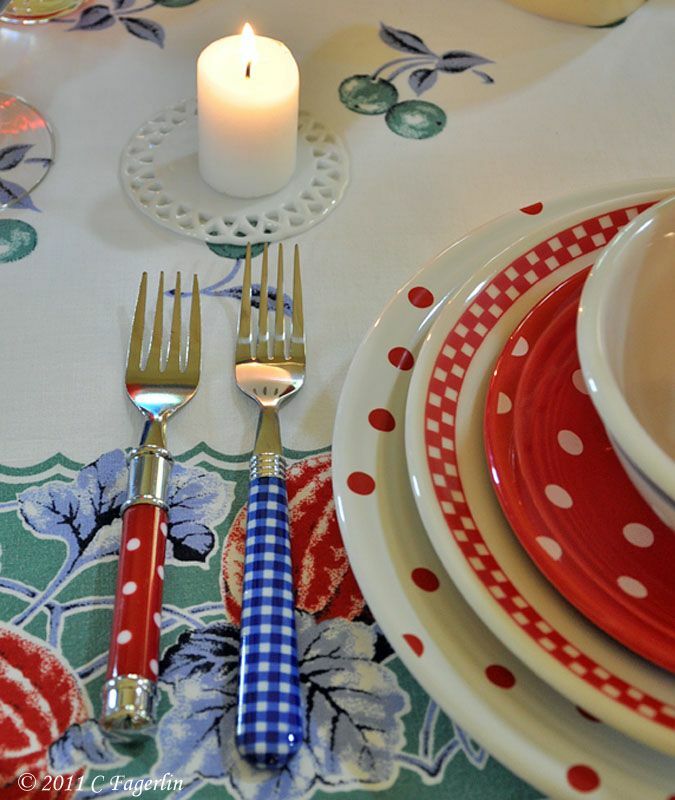 Love the mix of flatware! 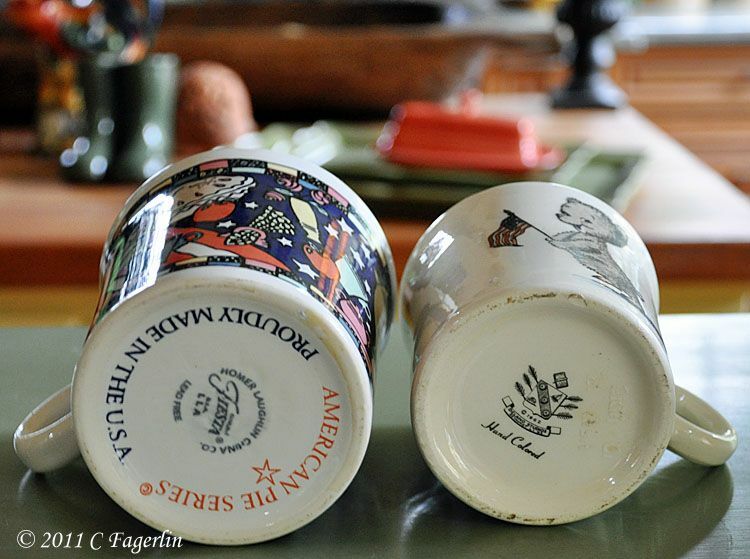 Looking forward to having you be a part of "Where do you keep it all? - Part 2". Thanks ladies, so glad you enjoyed this little dose of red, white and blue! See you again soon I hope.